I am lucky enough to have been to India three times so far. I still yearn to go back and explore more, that’s what this magnificent land does to you. My first trip was back in 2008, and I went with my yoga teachers and a group of other students from the Jivananda Centre. I’m glad I didn’t go alone the first time, as it can be quite a shock. But now I feel confident to travel alone in India and actually prefer it, it’s such a spiritual experience and sometimes you just need the space to be alone with yourself. We spent one night in Delhi and caught the early train to the holy city of Haridwar. 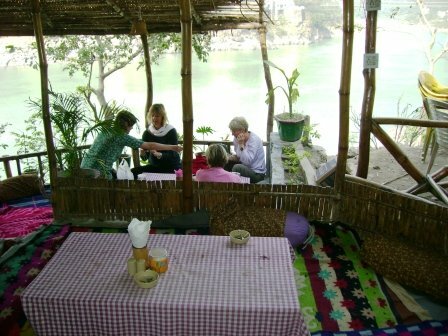 From there we travelled by taxi up to Rishikesh, often referred to as ‘the world capital of yoga’, and for good reason. 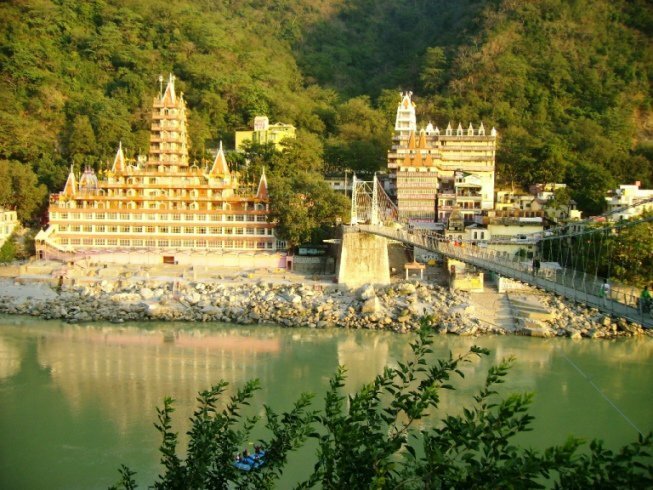 Rishikesh is located in the foothills of the Himalayas, and embodies a very special kind of energy, you can try just about any kind of yoga and the town is abound with ashrams and healing centers, strewn along the banks of the sacred Mother Ganges. The town stretches from the Ram Jhula bridge all the way to the Luxshman Jhula bridge (this side of town has a more Tibetan feel). We took up residence at Yoga Niketan, of which a minimum stay of 15 days is required. 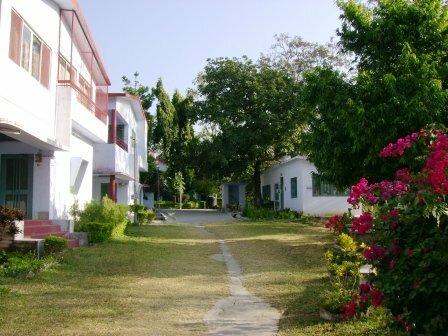 I enjoyed staying there – the ashram grounds are located well above street level and there is ample greenery, the food was good and I liked the yoga (traditional hatha & challenging). 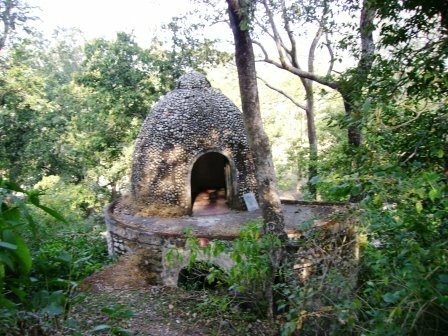 The ashram is located near the Ram Jhula bridge side of town. During the late morning we would go to philosophy lectures at the Ved Niketan ashram across the river with the legendary Swami Dharmananda, who I believe is now in the US. He is such a funny character and of course a man of immense wisdom. During the rest of the day we would explore the village. Some days we would just take a book down to the banks of the Ganges and sit and read – there are great affordable bookstores in Rishikesh stock-piled high with every kind of spiritual book your heart desires. You can even order in bulk and they will parcel it up and send home for you via ship. We would eat – there are countless delicious vegetarian restaurants and cafes spread throughout the town (the whole town is vegetarian and no alcohol is allowed). There are Tibetan influenced eateries, Israeli and even a German Bakery (the most delicious spinach pie EVER). We went for hikes up the mountains, swam in waterfalls and tried river rafting. 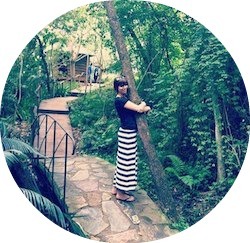 We went for Ayurvedic massages and other holistic treatments. We practiced yoga with various teachers and across different styles (more of this in another post). We visited the famous Maharishi Mahesh Yogi’s ashram, where The Beatles attended an advanced Transcendental Meditation (TM) training course. 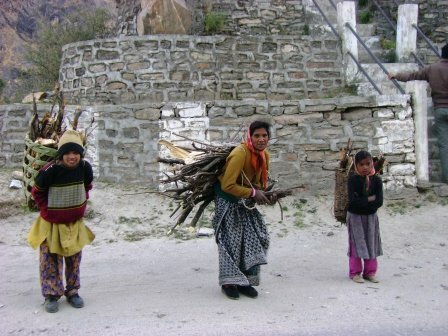 We ventured up higher into the Himalayas to a sleepy village called Lata in Josimath. The entire village relocates down to lower ground during winter due to the cold, so it was completely empty. You can do as little or as much as you desire in Rishikesh, but ultimately it’s all about connecting with and exploring your inner self. Staying in an ashram and doing the daily sadhana/practice of yoga, meditation and chanting is one of the most rewarding experiences I’ve ever had. You shift, you release and as the days pass you become a different person. 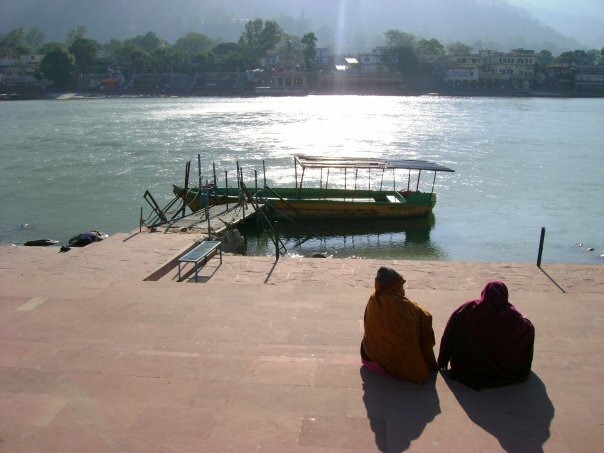 You soon settle into the flow of life in Rishikesh, where things seem so much simpler and answers become clearer. I hope you did river rafting in Rishikesh ! One of the best places in India to enjoy rafting. Yes I did Mayur :) and we ended it with a tea and pastry at the German Bakery. Quite an experience! Hahah :D same here ! I spent 4 months in India 30 years ago. It was an amazing experience. I still recall smells and sounds. So informative and beautifully written. Can’t wait for your next article!